I believe you all have already seen and heard many of the cool features of the new Apple iPhone X. With all those cool features that this phone has to deliver, you might also be planning to own one for yourself, aren't you? But are you aware that the Apple had to do lots of backstage work in replacing all those iOS features with the introduction of an almost bezel-less display without having a home button? Those replaced old features have been redesigned to give it an improved as well as astonishing feel without having to worry about the lost home button or the TouchID. Let us see in this article some of those astonishing secret iPhone tips and tricks that you as an owner or a tech enthusiast will love to discover. With the home button being gone, we can't rely on it to wake the device every time when we need to. So there's this cool new feature where the user can just tap on the screen to turn it on. In order to activate this functionality you need to toggle it on by going to Settings-> General-> Accessibility-> Tap to Wake. Alternatively, raising your phone or pressing the power button will also do the same job just like the previous iPhones. With an astonishing 5.8-inch OLED display, iPhone X is something that you never want to take off your hands from, rather keeps playing with the display every once in a while. Although the device screen size is smaller than those plus-sized phones out there, sometimes it can still be a hassle when you're trying to reach the top of the display, especially if you're using it one-handed. To eliminate this hassle, previous iPhone plus models used a feature called reachability which will allow the user to shrink the screen size with the help of the home button. But how will the same task be done in the absence of that home button? Well, Apple had made a solution for this trouble too. But for this feature to work on your iPhone X, you should make sure that your device is updated to iOS 11.1. You'll then have to open your settings and head to General->Accessibility->down under interaction, you'll find Reachability. From there you can tap on the toggle switch to either switch it on or off. But doing this alone won't shrink your screen, rather after setting this up whenever you feel to shrink the screen, you then need to do some actions with the home bar that is shown at the bottom middle of the screen. First of all, you need to swipe your finger up from the home bar and as soon as you do that, the screen slightly follows your finger towards up, at this position you have to swipe down and there it is! you now have a fully functional screen in a reduced form. In order to get out from this mode and go back full screen, just tap on the blank area of the screen on top. Alternatively, the device will dismiss the shrink mode automatically and shoot backs to full, if it stays idle for a second or two. How will you turn on the flashlight or camera in your iPhone X when the screen is turned off? Well, the answer is simple. 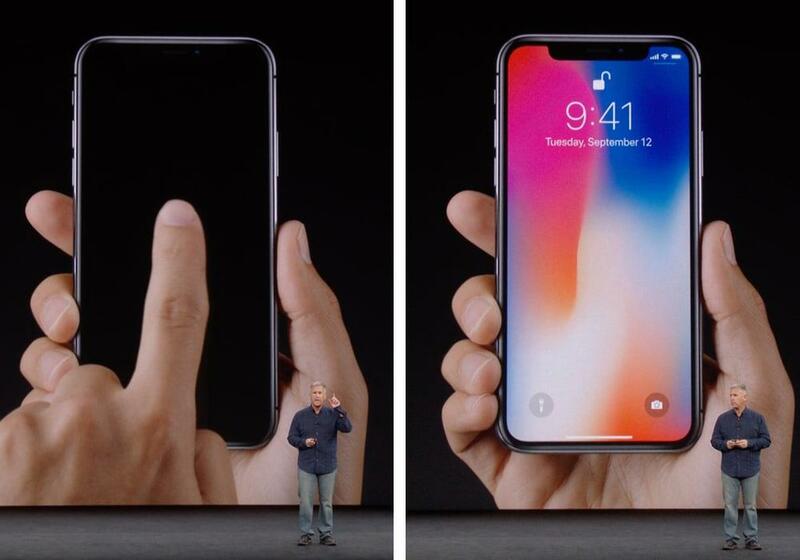 You need to lift your iPhone X or if it's already on your hand, just tap on the screen to get to the lock screen. On the bottom of it, you'll see the two shortcuts and force-pressing (3D Touch) will activate either the camera or the flashlight. This is an awesome hidden feature that as an X owner you'll definitely love. 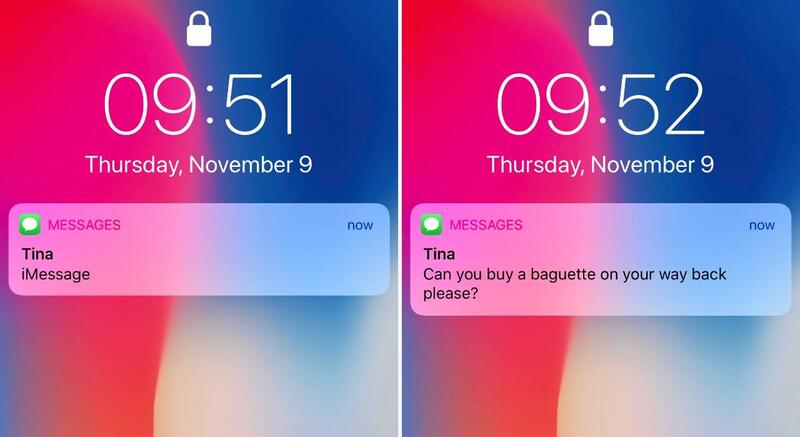 We all find the text previews on the lock screen useful. But what if have issues with the privacy? With iPhone X you no more have to worry about this issue. iPhone X expands the preview only if the owner is looking at it, else for others, the text and contents stay hidden. Isn't that a cool new feature that you don't see everywhere? Now you can experiment this hidden iPhone X feature with your friends and family. 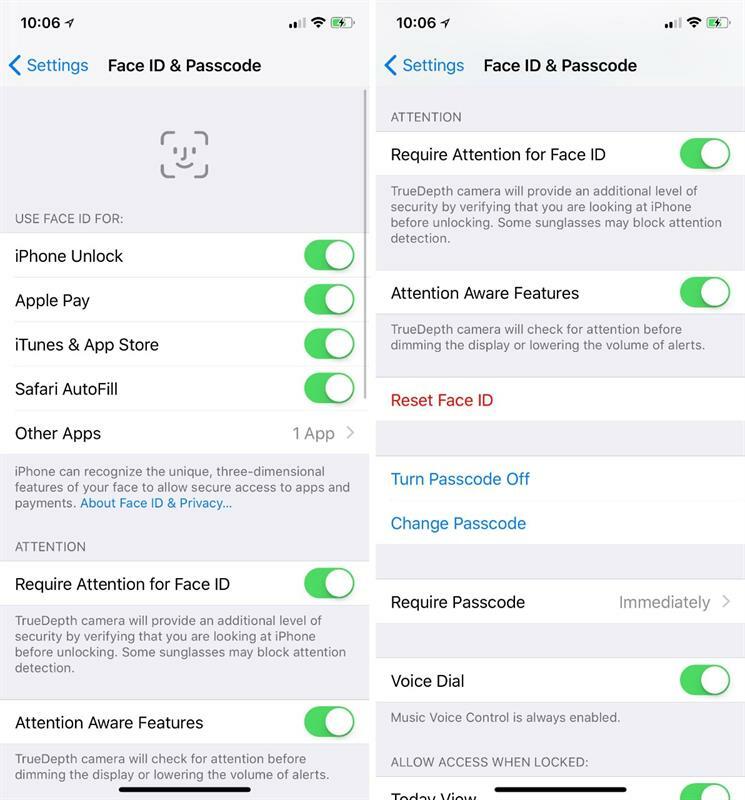 FaceID can not only unlock your iPhone X, but you can also do much magic with your phone by enabling Attention Aware features in your settings. To enable it you can from Settings-> FaceID & Passcode-> Under Attention there will be a toggle button to switch on or off the 'Required Attention for FaceID. With this feature turned on you need not be holding your iPhone X in front of your face in order to unlock, you can still unlock the device just by looking at it on the lock screen at any perspective. Moreover, the Attention Aware feature also make use of the TrueDepth camera in doing many jobs intelligently like dimming your display right away when you turn your face from the screen and would even lower the alert volumes when the phone detects you in front. Yet another salient feature of iPhone X is that no wan can force you to unlock your phone without your permission. Say if you're crossing the border or around bad strangers and you're afraid about your FaceID which easily unlock your device for them if they forcefully hold your iPhone X in front of you. For getting through such situations, Apple had introduced an Emergency mode. Pressing power button five times will trigger this function and no one can unlock your phone without the passcode. Apart from silently disabling the TouchID, this feature will also launch SOS mode where you'll have options for making an emergency call or sending out your medical information in an emergency situation. Although some of these functions can be achieved by switching off your phone which is a whole long process, the SOS/Border crossing mode can save you lot of time. Apart from activating SOS mode, the power (sleep/wake) button can do much more. Double pressing it will take you to Apple Pay even when your phone is locked, and it will take you directly to the Wallet app. Another power button feature from iPhone X is that you can launch Siri by long pressing it for about 2-3 seconds. 8. How to turn off iPhone X? 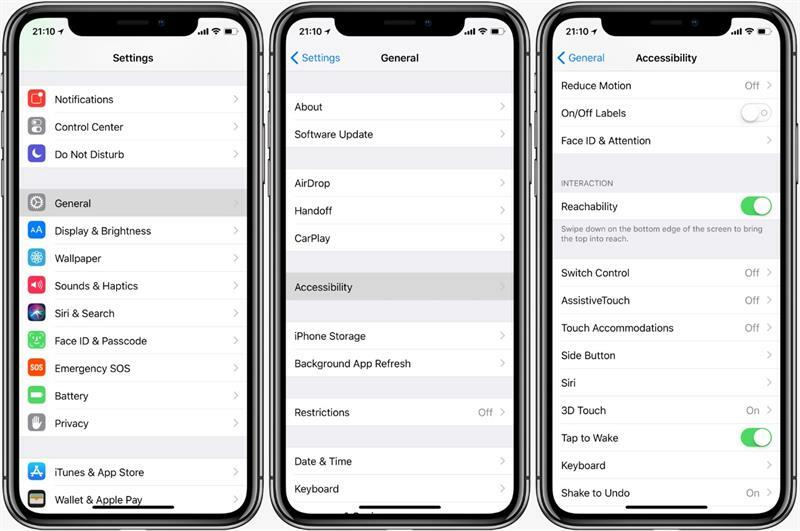 We have already heard what power buttons of iPhone X can do, but if the power button is going to have these much features, then how will you turn off your device completely? Well, this is one among the widely asked question about iPhone X on the internet. The answer to that question is the combination of power button and the volume down button. Yes, you heard right, one way of shutting down your phone is by holding down power and volume down buttons for a few seconds. This can be a lot stressful job if you're someone who use to shut down your device every once in a while. And also the combination of these buttons remind some of you as a troubleshooting method when your device gets unresponsive. So as to eliminate this worry, Apple had also kept an alternative solution, but for this, you have to do a couple of taps. Go to Settings-> General-> Shutdown. Not only shutting down your device, but Apple had also changed the way of taking a screenshot the way it was before. In earlier devices for taking a screenshot the user had to press home and power button. 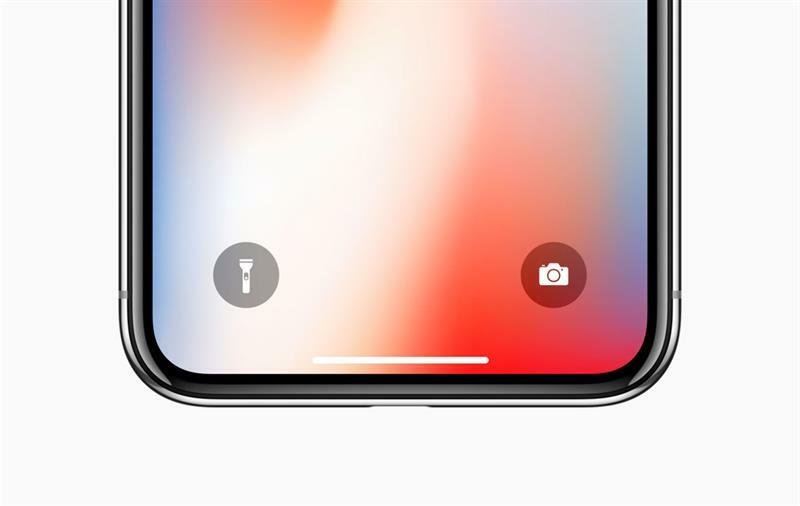 But with the elimination of the home button, you as an iPhone X user have to master the new method which is by pressing the power button and volume up button. These secret features do worth mentioning as the iPhone X from Apple by far had the biggest change ever in the smartphone history. With the home button being gone, most of the things on iPhone X are based on swipes and gestures. Hope you all find the above features, secret tips, and tricks of iPhone X useful. With all of them being known, now you can enjoy your iPhone X to the fullest.